Domestic violence is an ongoing phenomenon all around Europe. 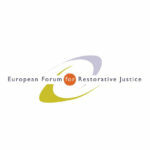 CEP and EuroPris therefore decided to establish an expert group, both within Prison and Probation, in order to promote better national regulation and best practices for countering Domestic violence in Europe. The expert group will contribute to improving the management and rehabilitation of offenders with a domestic violence background and to raising the awareness about this issue in European Prison and Probation Services.